500 x 500 pixel album cover included with any song purchase. 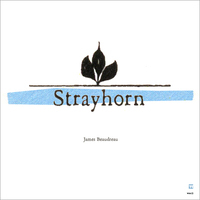 "Strayhorn" is a solo electric guitar improvisation by James Beaudreau, played on a 1966 Gibson 330. Originally released on the "Fresh Twigs" album in 2008. Remastered by Scott Hull at Masterdisk in 2010.